Artie and his friend Ham are hired to investigate a series of suspicious accidents that have befallen world-famous magician, the Great Wizard of the North. It seems someone is determined to sabotage his spectacular new illusion. When the huge mechanical dragon created for the show vanishes, the theft appears to be completely impossible. Artie must reveal the trick and unmask the villain or face the deadly consequences. The cards have been dealt, the spell has been cast, and the game is afoot once more! 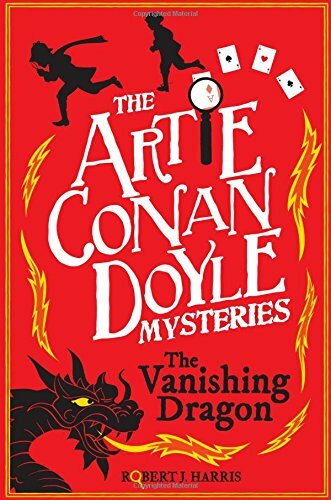 Artie Conan Doyle and the Vanishing Dragon is the second book in the series by Robert J. Harris. The book swooped into bookshops on the 22nd March 2018 just in time for the Easter Holidays. The book has been published by Kelpies, which is a small but perfectly formed children's independent publisher in Scotland. 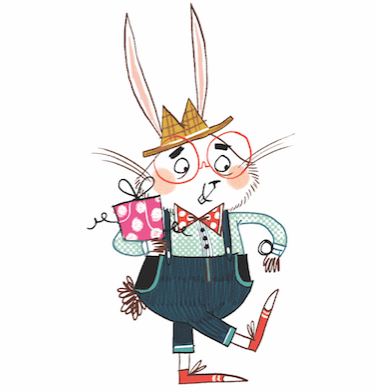 To celebrate this brilliant publication I hosted a stop on the blog tour which you can read HERE. The post talks about a new generation of mystery adventures for the young. This series is definitely a mystery series that I would choose to read. It is definitely worth tracking down if you want a jolly good read. Fast-paced and full of action, it follows two absolutely brilliant characters. Artie and his sidekick Ham are a loveable and perfectly crazy pairing. They solve mysteries across Edinburgh's Victorian landscape - Ham follows the crumb trails whilst Artie follows the clues. Where there is danger and a crime to solve, Artie and Ham will find themselves in the thick of it. In this book, there is a theatrical feel to the story as it starts with a mysterious invitation to an evening with magic. To be exact it is a performance by the Great Wizard of the North. This sets the plot in a shroud of mystery as the duo, armed with humour, will have you chuckling to yourself as they set off on another detecting spree. It is a brilliant adventure full of complex puzzles to solve that will leave you captivated. This story is full of thrills, chills and excitement around every corner. It is a brilliant and well-imagined story that will leave you feeling very satisfied as the adventure unravels. It's a story borne from the author's childhood reading based on the theme of Sir Arthur Conan Doyle and his most famous character, Sherlock Holmes. This is a great book for the reluctant reader as it is easy to follow, packed with great imagination and no unnecessary dialogue.